Shazam is one of the most popular music-discovery apps across the globe, reaching hundreds of millions of mobile users. Shazam music service is available in Samsung’s Smart Hub in Korea, the U.S., the U.K., France and Germany. 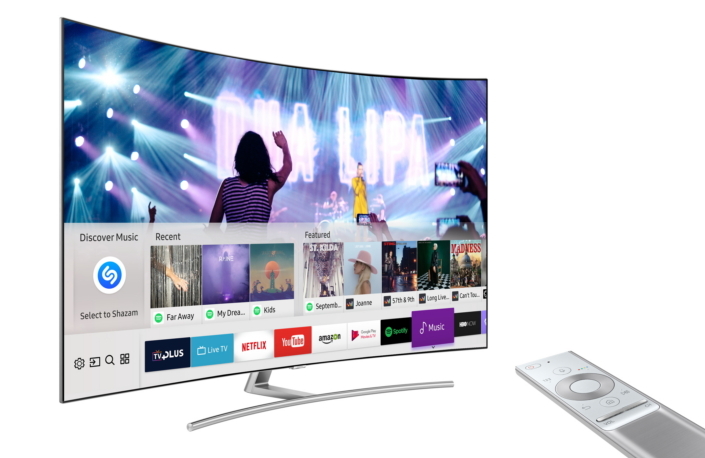 For more information on Samsung Smart TVs, please visit www.samsung.com. Shazam is one of the most popular apps of all time, used by hundreds of millions of people to magically connect to the world around them. Building on its pioneering leadership in music identification, Shazam now helps people discover, interact with, and share audio, video, printed or augmented reality content—and lets music fans follow their favorite artists to share in the thrill of discovery. The app has been downloaded over one billion times, in over 190 countries, and users Shazam over 20 million times each day. For more information, please visit www.shazam.com.